Because of the high volume of rain we have had this spring and summer we are experiencing a lot of apple scab this year. 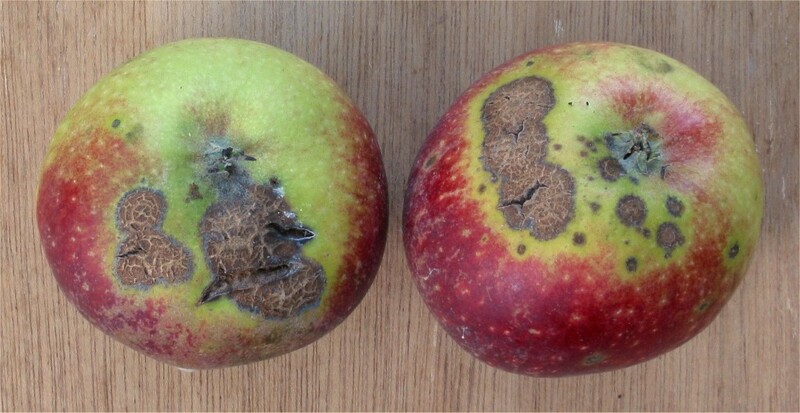 Apple scab causes scabby black or brown spots or blotches on the fruit and black blotches on leaves, which can curl up. Apple scab does not affect the eating quality of the fruit although if it causes the skin to crack then they will not store as well.